Browse Shopko Cyber Monday 2017 Sale starting Sunday, November 26 and valid through Wednesday, November 29. Top Shopko Cyber Week deals: 60% Off Christmas Trees, Magnavox 55-inch UHD TV, Up to 50% Off Cookware Sets and Drinkware, 40% Off Food Storage, $19.99 Kitchen Appliances, 20% Off Toys, Globe Light Bulbs All on Sale, KitchenAid, Furniture All on Sale, 50% Off Energy Zone, Buy 1 Get 1 50% Off Family Basics, 50% Off Holiday Kitchen Towels, Buy 1 Get 1 Free Bed Pillows. 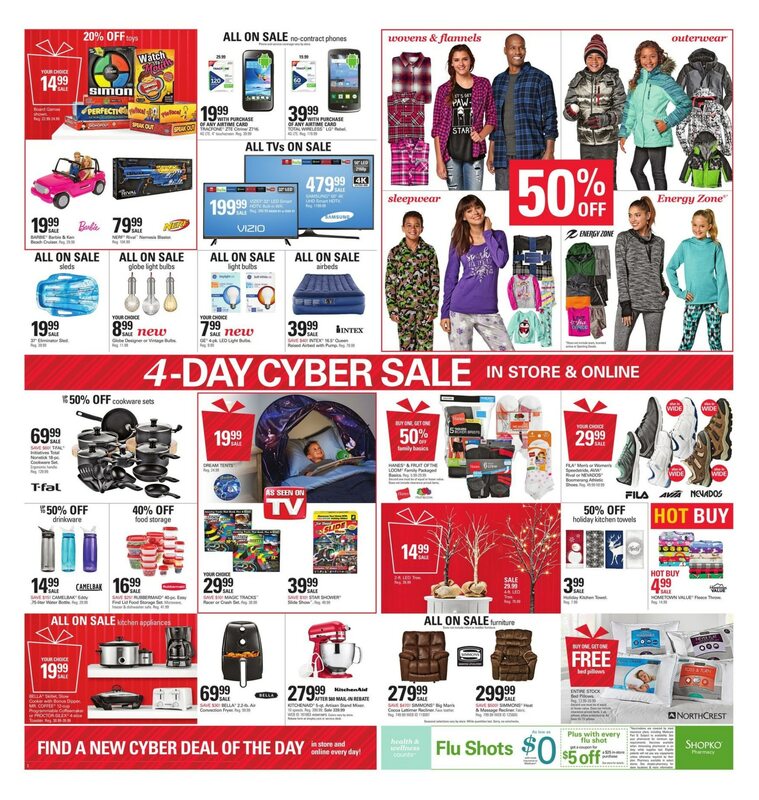 Don’t forget to check this year Shopko Cyber Week deals before heading out to shop.